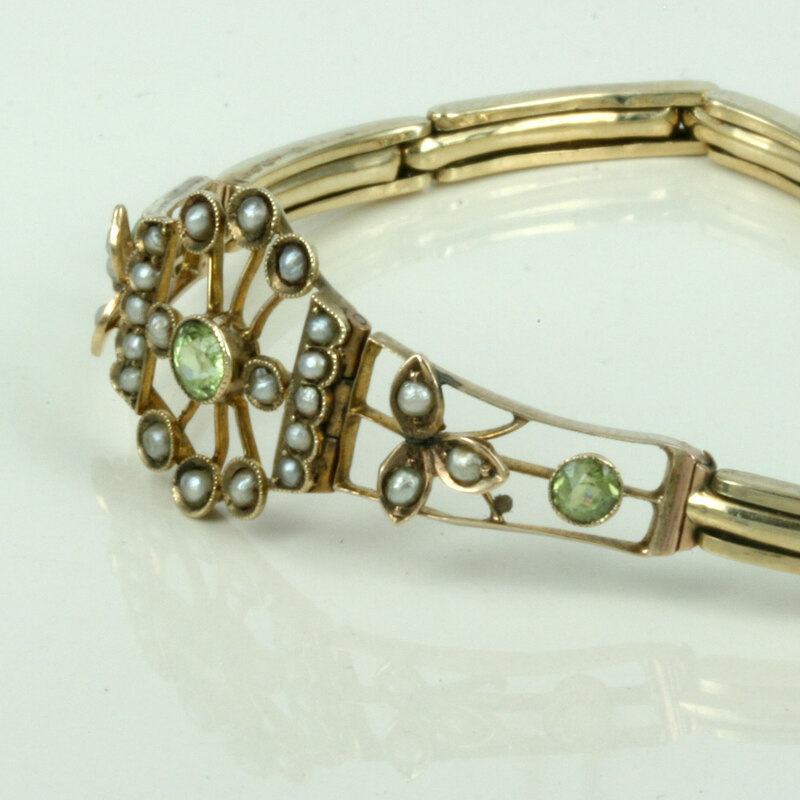 Antique peridot and pearl bracelet. Product code: 1117 Categories: Sold Items, Sold Jewellery. Here is such a sweet antique perdiot and pearl bracelet from the early Edwardian period of 1900. With a great piece worked design, this sits so well on the wrist. Set with 24 seed pearls and 3 peridots, this is set on a 9ct rose gold expandable bracelet that is in wonderful condition.